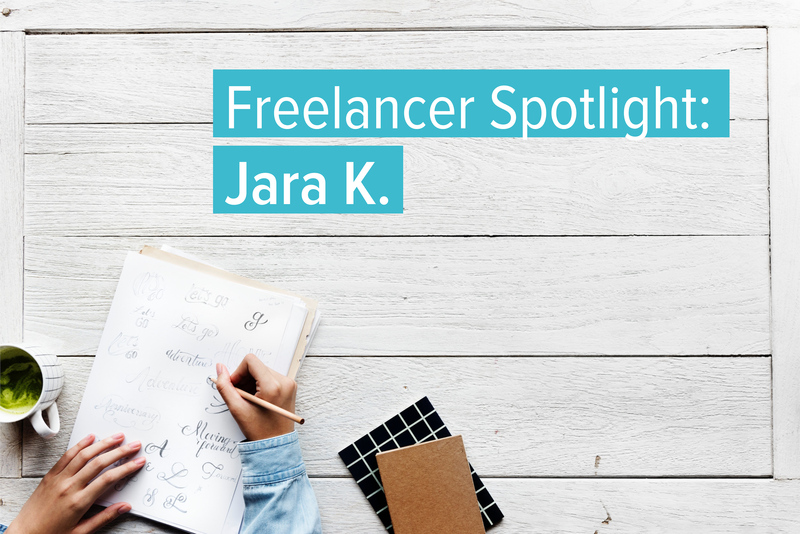 After working as a freelancer for less than a year, Jara discovered ConceptDrop. She was intrigued by the business model and felt that right away the platform had “great brands, great companies, and great projects.” Jara has worked on several projects for ConceptDrop from invitations for a whiskey seminar to a sales click pack for a software product. “I also really like the psychological aspect of it [ConceptDrop]. You know, you never know what kind of content of a project you’re going to get, I like the challenge and the exposure to different markets.”Since starting with ConceptDrop, Jara’s favorite project has been creating a landing page for Macy’s Frango Chocolate. “It was a dream project and was a joy to describe those melt in your mouth chocolates for a website.” She loves a challenge and has yet to not accept a project offered to her through ConceptDrop. Clients have taken note of Jara’s quality work. Blackbaud, for example, appreciated Jara’s “quick turnaround and her efforts to follow our guidelines.” Other clients, such as Avery Dennison insisted that Jara had “knocked it out of the park” when it came to their project. One of her favorite parts about being a freelancer is getting to work for herself and learning about different people and industries. Jara appreciates the option to create her own hours and choose the projects that she takes on. “It’s great because then you’re fully invested in the project and when you’re your own shop, you’re as good as the body of your work.” Jara often finds that she has to remind herself to stop working and remember to do everyday responsibilities such as making dinner or going to her dentist appointment because she’s enjoying the project so much.